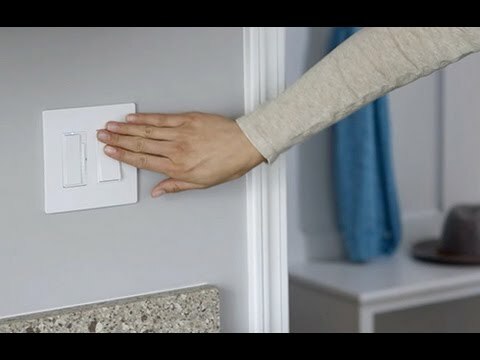 This night light replaces any existing single-pole or 3-way switch devices and offers a hidden sensor that automatically controls the night light, plus five adjustable light levels (including OFF). Rated 1 out of 5 by dh987 from Sharp, but fails to perform I recently bought this product and installed it in all three of my bathrooms, with timer switches for the fans. I am a big fan of their timer switches, but this switch does not work. The first night I discovered that the nightlight needed to be on the lowest setting otherwise the light it is connected to flickers. Ever since that night, it doesn't matter which setting the nightlight is on, the lights flicker every 3 seconds like the other review states. This is very upsetting since there is not another night light option so I will have to uninstall all the timers and switches to find a product that works for me. Rated 5 out of 5 by TonyShell from Worked fine for me... I read some reviews that people installed them and couldn't get them to work and even their licensed electrician couldn't get them to work. I don't know how skilled some electricians actually are, but the only thing to remember about this product is that it needs a neutral in addition to the hot and switch legs. It's clearly marked and explained. Anyone who understands simple electrical principles would know this. The night light needs a return path for its power. 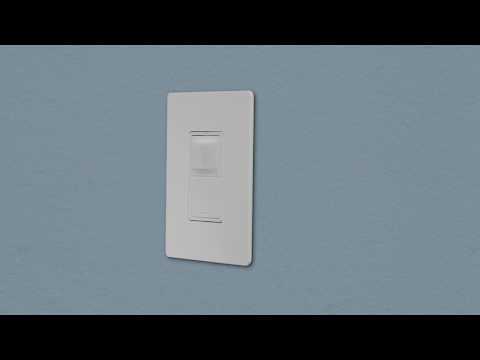 Depending on how your 3-way switch is wired, you may not have a neutral present. That was my case, so I used the ground for the neutral, which is perfectly safe since they're tied together at least at the breaker panel. I like the adjustable night light levels and that they turn off when there's other light present. The switch is stylish, yet simple. Rated 5 out of 5 by Dan S from Works Great I've installed this switch in my home at two location. One on a three way hall light and another in the bath room. Both are excellent choices for a night light. Adjustable light output for perfect night lighting. Off in day, on at night. Use your ohm meter if you can't decipher the instructions. Rated 4 out of 5 by nurhachi83 from Great, but does have one flaw! I bought these and I really enjoy them. My house is really dark at night and tough to navigate without turning lots of lights on. One thing I noticed that kind of irked me was that I bought one to put at front door where my front porch light switch is. However when I want to turn my front porch light on at night the night light shuts off thus making the night light useless. Was curious if there was anyway around this. Besides that they look and work great for me! Will this work with LED lights? 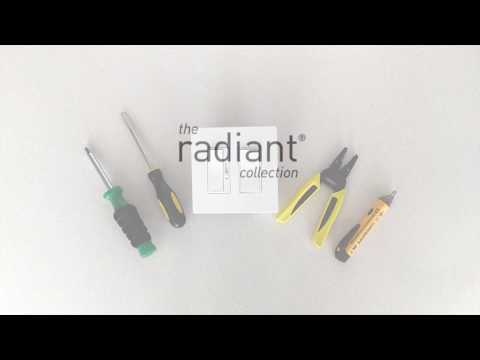 The Nightlight requires a separate Neutral connection so it will work on any type of light load. I have switch plate covers that match my decor and don't want to use screwless plates that won't match. Can I use my plates with your switch? I've never had one of these fail and have installed a bunch in my different houses. Recently the nightlight stopped working in our bathroom. Is there a way to replace the nightlight part or diagnose what's wrong or do I just have to replace it all?